My family and I LOVE Build-A-Bear Workshop! We have shopped there several times! Lydia loves their products! Lydia is even more excited because Build-A-Bear Workshop has this adorable product line called Honey Girls! They are just too cute! If you haven't heard of them, don't worry! I am going to tell you all about it! 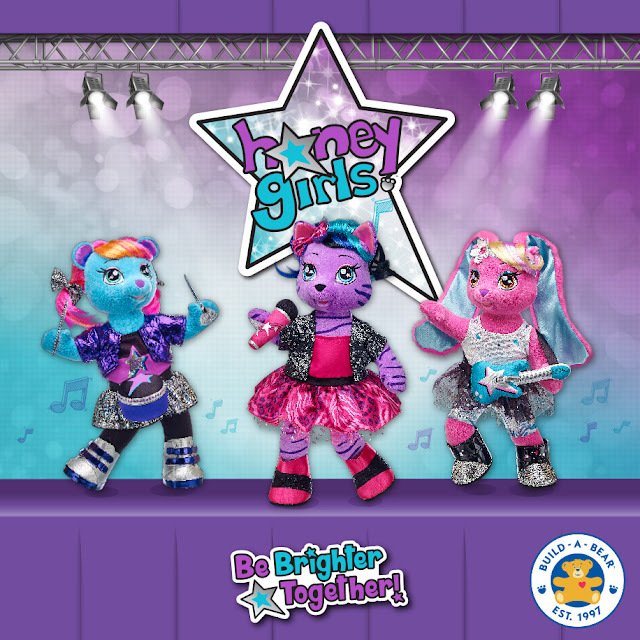 The Honey Girls – Teegan, Risa and Viv – met at school and formed their own band. Music brought the Honey Girls together, but their friendship keeps them together. I love the idea of this collection because this product line was designed to encourage children to find their passions and overcome obstacles by instilling a sense of confidence and inspiring self-expression. Each of the Honey Girls have their own strengths and talents that help the friends “be brighter together.” The Honey Girls story goes beyond the tale of a music band as it embraces the importance of leveraging each other’s strengths and talents. Check out all of the girls below! I just adore how each of them are unique in their own way! The colors and outfits are too cute! They even come in this cute condo that converts into a stage. Teegan is the fearless and bold lead singer. Some fun facts about her: She is the new kid in school and she created her very own comic book! She also loves to talk. Teegan’s song "Gotta Go Big" is exactly how she lives her life: big, loud and strong! As she says, "be the best you can be!" Risa is the guitarist, and she is all about music and being creative. 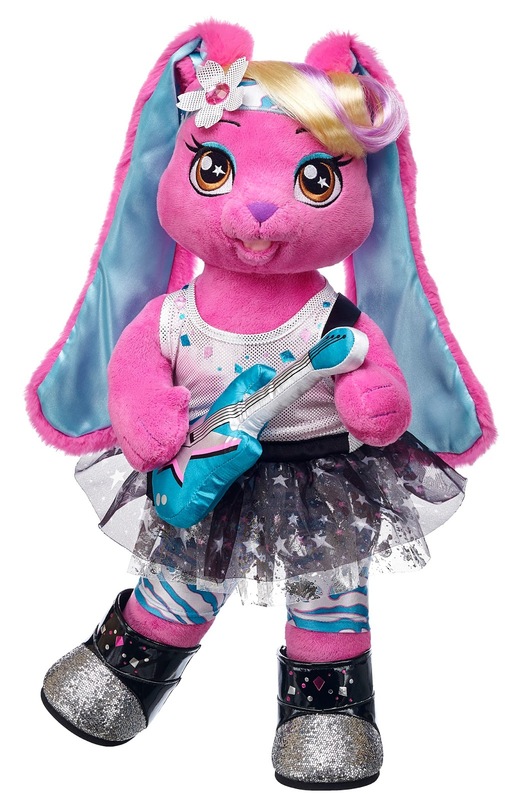 Some fun facts about her: She loves music and concerts are her fave! She is also always humming. Risa’s song "Places to Go" is about following your dreams. Her motto is "Believe in yourself!" 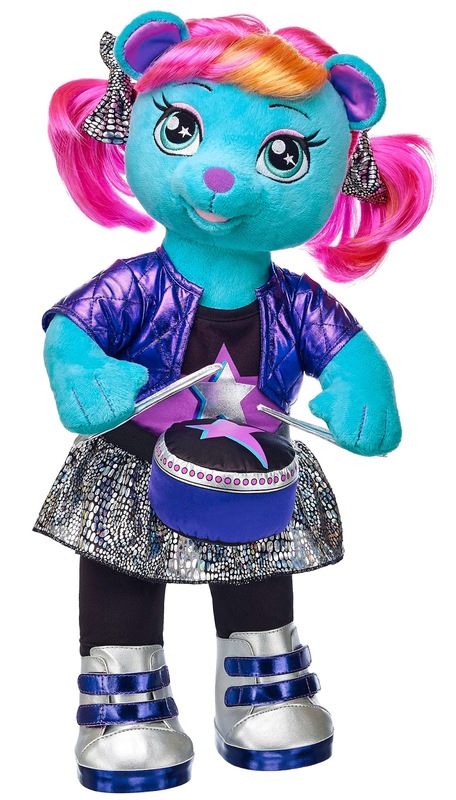 Lastly, Viv is the drummer, who’s not only a great friend but also a talented inventor. Some fun facts about her: She made her own robot , She loves to bake and she is a great gymnast! Viv’s song “Just a Bit O’ Rhythm” is about dreaming and creativity. Her favorite saying is "Dream big!" Something else unique about these girls are that children can customize their Honey Girls character with a special plush star, which represents a positive, aspirational trait that complements the Honey Girls empowerment theme! The stars, each a different color, include the traits creative, confident, talented, smart, fearless and strong. The stars allow children to further personalize their Honey Girls, making the connection with their new friend even more special. Each Honey Girls character comes with one plush star to stuff inside during Build-A-Bear’s signature heart ceremony. However, guests can purchase as many additional stars as they want. Something else that makes them unique is that each Honey Girls character has her own original song along with the group’s debut song titled “Everything is Better.” Listen in for a “sneak preview” starting June 15! Visit the Build-A-Bear Workshop website around that time to listen! My daughter, Lydia wanted to show you Teegan! Check it out! Did you know that you can learn more about them by interacting with them and following their journey as a band through their exclusive, interactive Honey Girls Studio App? The app will be available for download in iTunes and Google Play in July. Just search for it then! This app is something my 8 year old is going to love too! Through the app, she will have access to biographies, music videos, a music video maker and selfie activity, as well as memory games and the ability to unlock special features. The three Honey Girls friends will be available for purchase online starting July 8th and in stores at Build-A-Bear Workshop July 10th! How much are they? Each girl is $28; outfits and accessories sold separately. Each one of the Honey Girls will travel home from the store in a specially designed condo that converts into a stage for at-home performances. Visit the Honey Girls to learn more! You can also visit them on their social media to stay up to date with the latest! 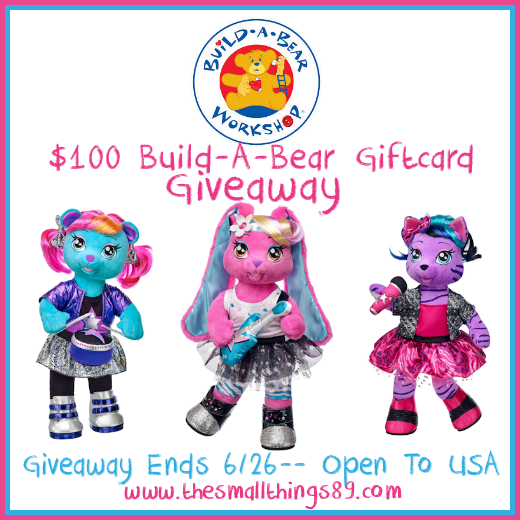 One reader is going to win a $100 Build-A-Bear Workshop Gift Card! Giveaway ends one week from today on 6/26. Giveaway is open to USA. See sidebar for complete entries. Enter below. Goodluck! I am a part of the Mom It Forward Blogger Network. 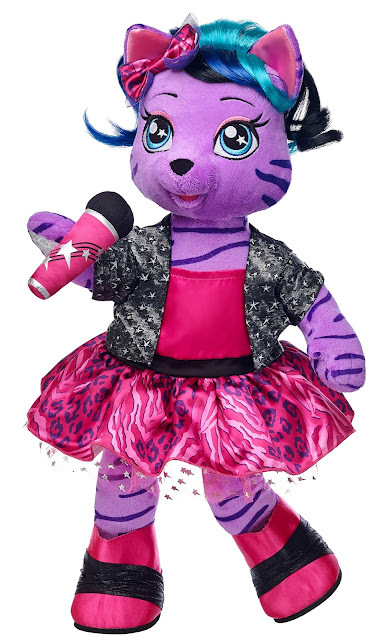 This is a sponsored post for Build-A-Bear Workshop. All opinions are my own. The Small Things is not responsible for prize shipment. Risa is my favorite of them. I like Risa the best. I think my daughter would love the Risa doll. Viv is our favorite. She is underrated....and cool. My daughter would love Viv! My favorite is Risa she's so cute. I think my girls and I would like Teegan the most. My favorite Honey Girl is Teegan! Teegan!! Purple AND a kitty!! my daughter would flip! Risa is my favorite. But They are all adorable! Risa is my favorite Honey Girl. My favorite is Risa, the guitarist. Thanks. My favorite Honey Girl is Viv! Risa is our favorite honey girl! Viv, the drummer, is my favorite of the three.